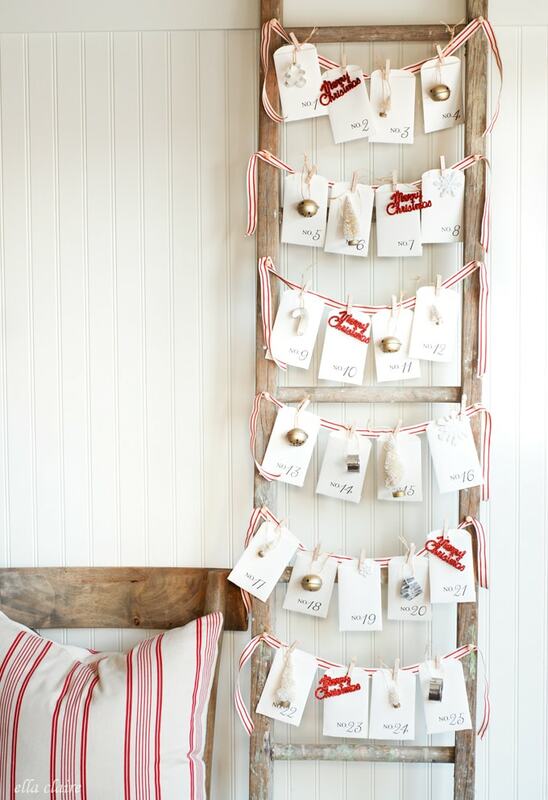 I am so excited to share this fun and free printable advent calendar with you today! 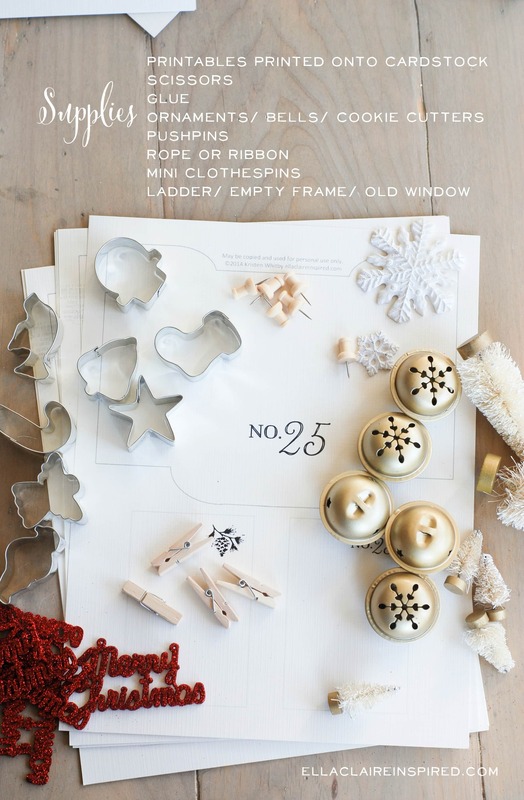 And, at the end of this post, you will see links to 22 other GORGEOUS Christmas printables! 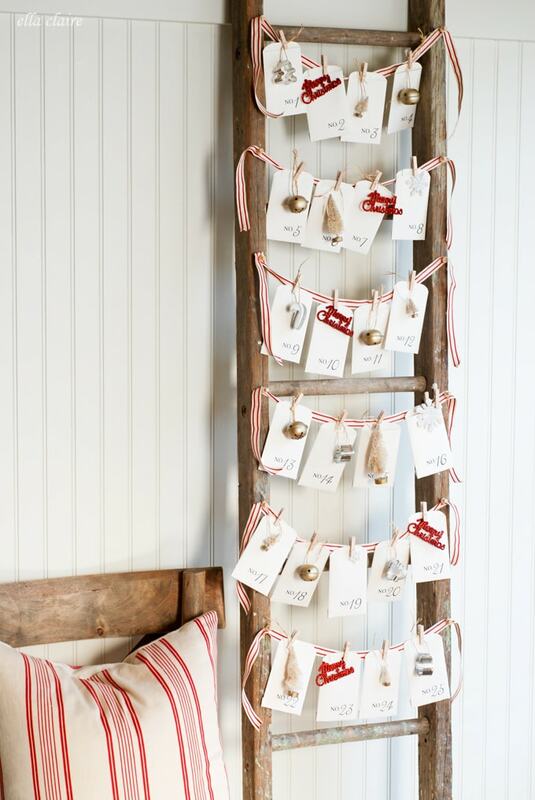 We have you all set to add some fun (and free) new decor to your Christmas home this year! 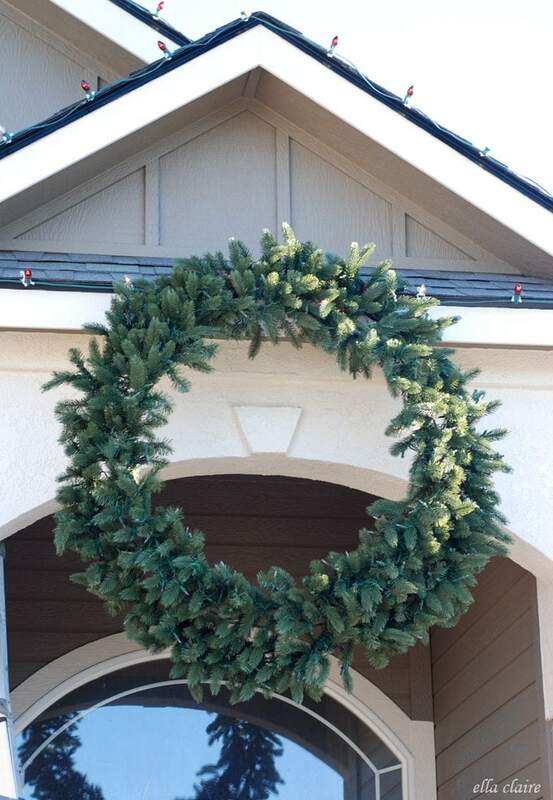 We love bringing you little pieces of our holiday homes to enjoy with your families. 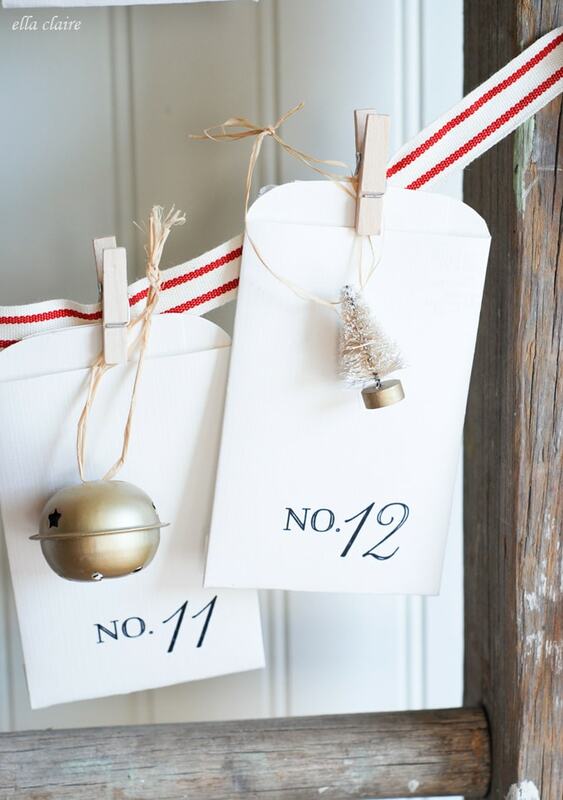 I wanted to incorporate a couple of different activities into my Christmas advent calendar: activities written on the cards inside of the envelopes, as well as a little ornament for my Ella to put on the tree in her room each day. It was pretty easy to put together, so I hope you enjoy it if you decide to make one too! First print off the cards and envelopes in the FREE PRINTABLE HERE. 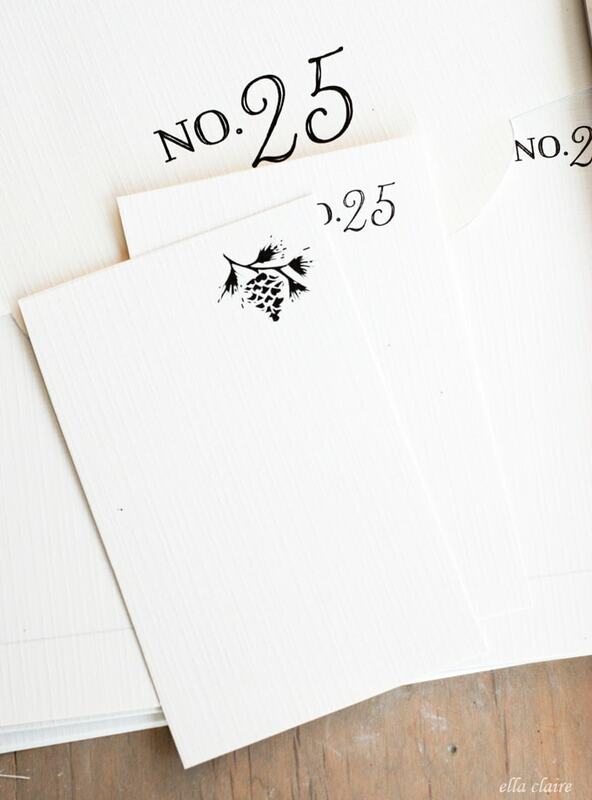 I printed them onto a creamy white linen textured cardstock (8 1/2 x 11) that I found at Craft Warehouse. Any craft supply or scrapbook store should have a selection to choose from. Then, cut out all of your pieces. 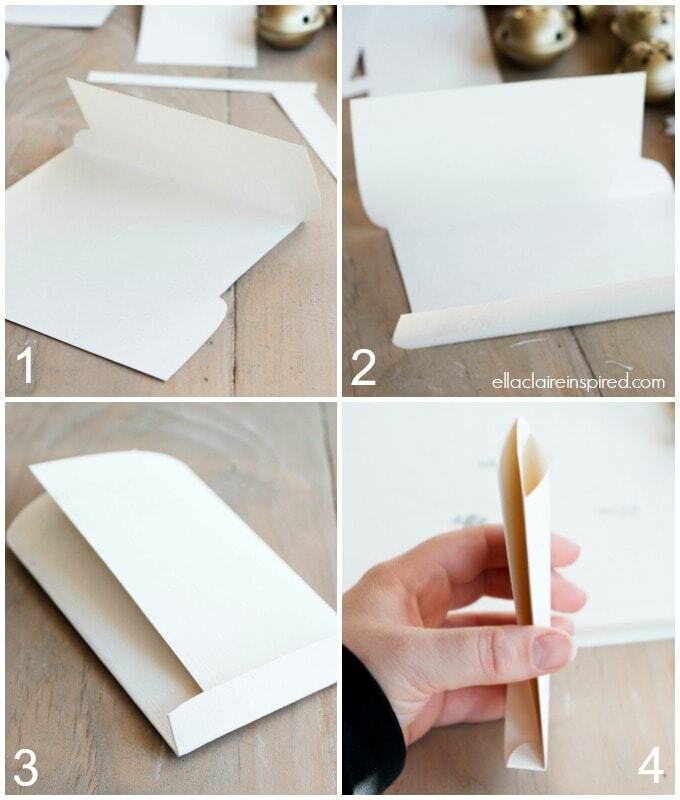 To make your envelopes, follow the pictures below. 1. Fold the first side, using the top indent as a guide. 2. Fold the other side using the other corner of the indent. 3. Fold the bottom up. 4. Glue down all of the flaps. 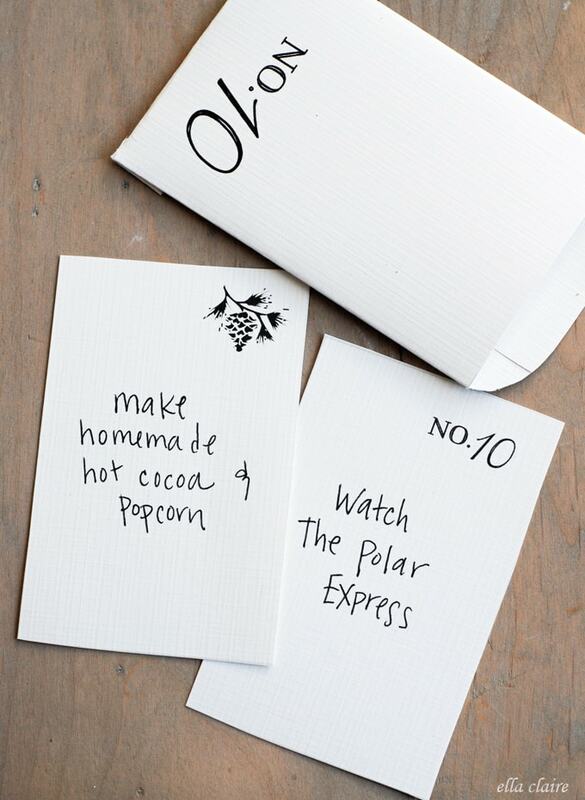 Next, write your activities on one or both of the cards and stick them inside of your envelopes. Confession: I am still working on compiling my activities! I hope you will help me think of some more! I used an old ladder that I got at a local antique store for $15 to hang my advent, but you could use so many other things such as a big, empty frame, an old window, or simply just tack it to the wall. First use your pushpins to hang the ribbon. The spacing of my ladder looked best with 4 envelopes per step, so I spaced my ribbons accordingly. I collected small dollar store bells, along with tiny cookie cutters, and little vintagey sisal trees and mini glittery Merry Christmas signs from the craft store. Then I just hung my envelopes with the mini clothespins. Note: big clothespins are too top heavy to use, so you will need to find smaller ones. These aren’t those teeny-tiny mini ones you have probably seen, but they are still small. 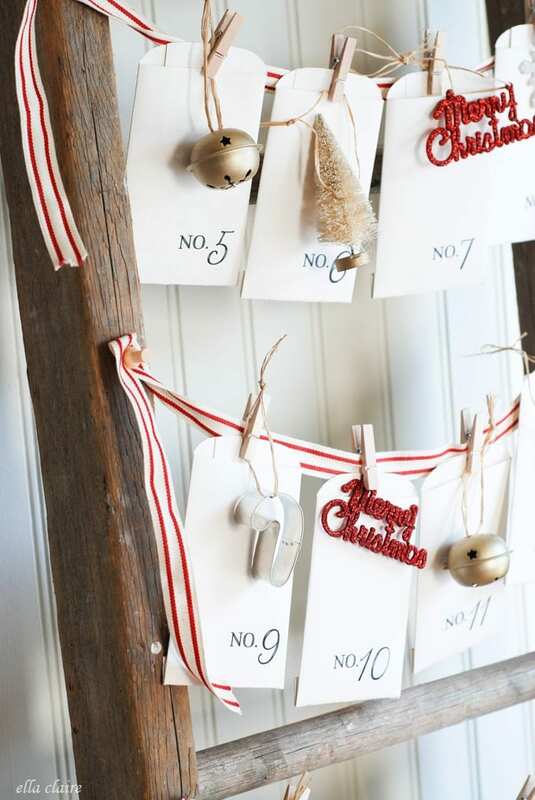 The trick is to first hang all of your envelopes to get your spacing right, and then to go back with your ornaments and add them where you want them. I think these envelopes could be used for so many other things too. I think they would be really cute gift tags as well. So here is my question for you! I hope you will help me by sharing your wonderful ideas here with everyone in the comments! 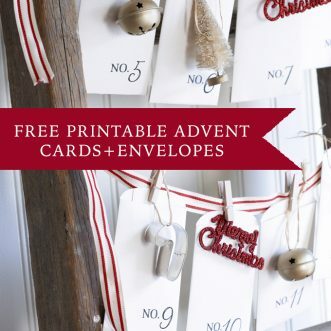 What Christmas activities would you put in your advent envelopes? What are your traditions? And here are a bunch more amazing Christmas printables for you! These girls are so talented!! I love, love, love this. So perfect! SO gorgeous! As always, everything you do is just vintagey perfection! I love the design of your advent calendar. 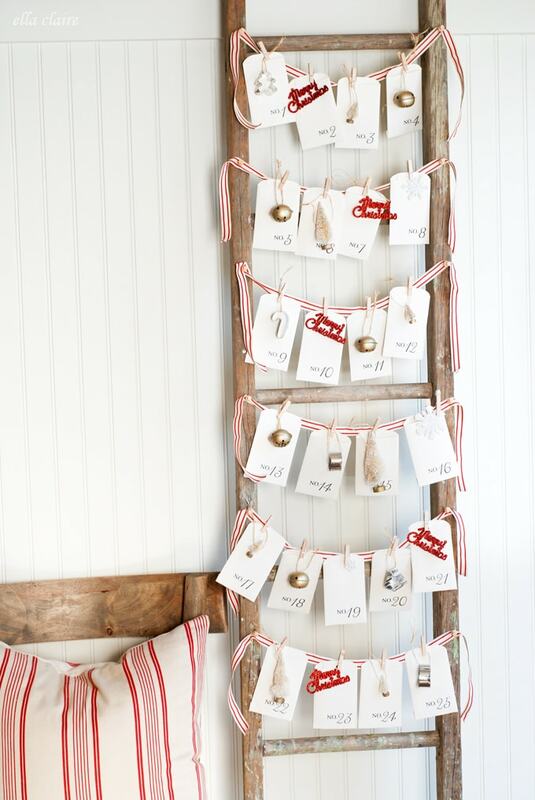 We used this last year with burlap hung on a branch as the backdrop. It worked out really well and I’ve been able to repurpose it for this year too! The envelopes I can use again which saves some work. It would be great if you had a PDF with just the cards to save paper. I don’t want to do the exact same activities as last year. I LOVE this! 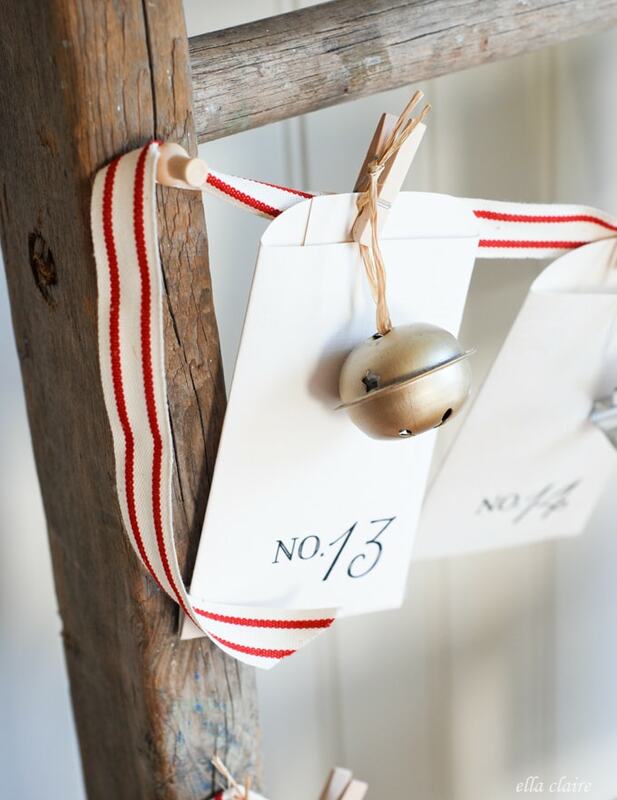 I cannot wait to get mine finished… after searching for just the right sized vintage ladder to hang mine on, I found the cutest handmade tobacco stick Christmas tree at a Christmas fair. Yay! I used this last year and loved it so much I’m doing it again this year! Thank you!